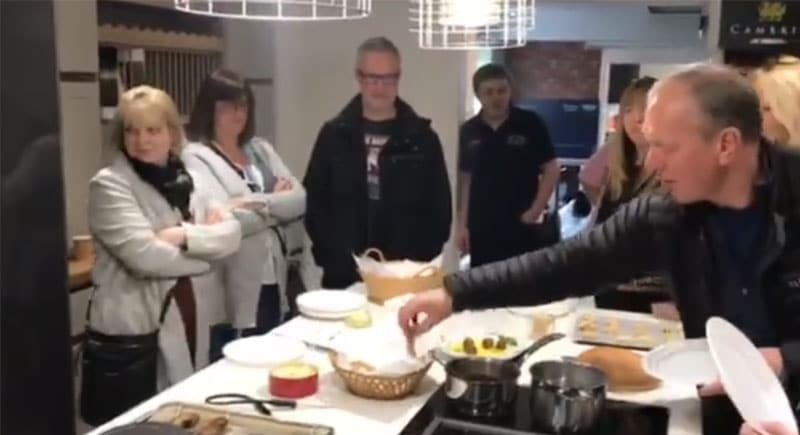 So we’re here at our Tettenhall showroom with the specialist Siemens chef who is demonstrating our fantastic range of appliances. She’s here until 3pm if you fancy calling in and tasting the goodies! We’re right next to the Crown on Wergs Road, you’ll be most welcome.